Turn acres of grass into well-groomed acres of lawn. There’s nothing more rewarding than a lawn that’s finely groomed like a country club fairway. Especially when it doesn’t take all day to make it look that way. That’s why our finish mowers are engineered for speed, precision and enduring quality. The innovative rounded-front, tapered-side, rear-discharge deck allows you to reduce trim and mow with better maneuverability. 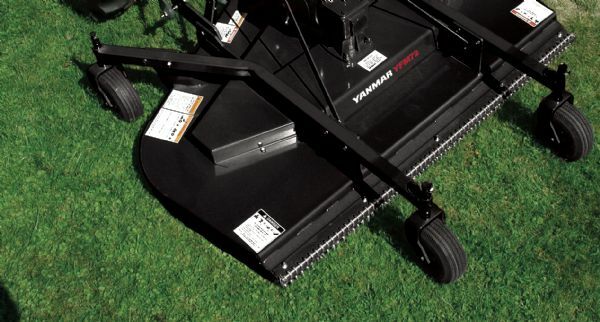 And the heat-treated, alloy steel blades always give you a beautiful, high-precision cut on any type of grass.